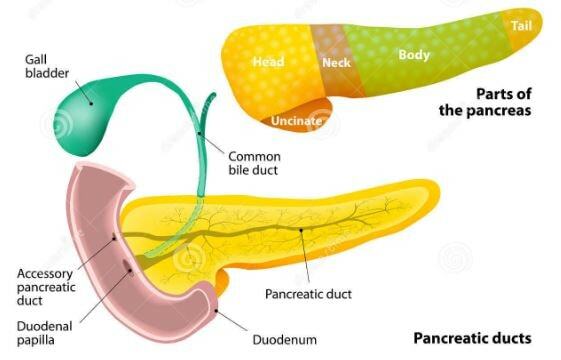 1 What is Pancreas Divisum? 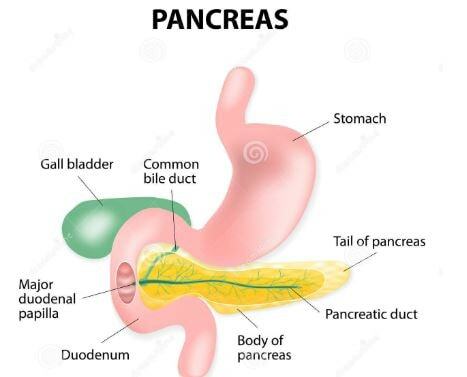 Pancreas is one of the deep seated organs in the human body. This is also one of the most important and significant organs that help for digestion. The most important task of the organ is to produce the enzyme that is carried to the duodenum, small intestine and help in digestion. The enzyme is carried out by the common Pancreatic Duct. However, there is a common congenital anomaly where the pancreas remains divided and that is called Pancreas Divisum. Basically, during embryo formation, human embryos have two different pancreases each with the individual duct. However, with the development of the embryo, these two fuse together and form a common duct and pancreas. In some cases, the fusion does not take place and that causes the disease. This is not so common among people. However, even if present, it is not necessary to be an issue as well. It may or may not create complications for the patient and it all depends upon the individual. In most of the cases, Pancreas Divisum does not show any symptom. It is often observed that the people remain undiagnosed and the body behaves normally with the condition. However, that does not mean it cannot create complications in the human body. It has some impacts in some cases and the symptoms can be observed. It is observed in the case of Pancreas Divisum. The pain is generally observed at the mid abdomen area. The severity of the pain differs individual to individual. However, it is seen that the pain is not so severe among people in case of normal blockage. It is also a very common symptom for the Pancreas Divisum. Swelling is also very much dependent and always depends upon the different cases. It may be very severe and may be not as well. The patient can get frequent Nausea or Vomiting due to this problem. However, the medical science is yet not sure about the cause of the symptoms. There are many theories and speculations over the symptoms of the Pancreas Divisum. However, none of them can be clinically established. The most common and accepted reason is the theory of Minor Papilla. The different ducts of Pancreas go to Major and Mino Papilla. However, when digestive juices are carried out to the minor Papilla, it exerts pressure on the papilla and that creates the pain. However, if the medical experts are consulted, then many more factors come in for the abdominal pain. According to the medical science, the exact role of Pancreas Divisum in the pain is still uncertain and inconclusive. No more specific symptom has been consistent for Pancreas Divisum and it is far too often remain undiagnosed. Diagnosis is a critical step for the Pancreas Divisum. It has to go through a range of exams and tests to diagnosis the Pancreas Divisum. Abdominal Ultrasound is generally carried out once the symptoms are observed. Abdominal CT Scan can be carried out as the next step. The Treatment for the Pancreas Divisum is critical for the patients. The treatment is focused on making the bile duct clear. Generally, ERCP is used by introducing a cut. This is done to make sure that Pancreas ducts have a good opening. If the situation is not under control with this treatment, a stent may be placed so that there is no blockage on the duct. These are very helpful treatments for the Pancreas Divisum and often have helped the patients. However, it is not necessary that the treatments will be effective every time. It is always dependent on the criticality of the issue. If the treatment is unable to solve the problems of Pancreas Divisum, the doctors might advise you to go for surgery. Surgery is done to make sure that any blockage of the pancreatic duct is opened. It makes sure that the enzyme carried out reaches to the destination and does not put any pressure on the Papilla as well. The surgery is generally the ultimate treatment for the problem and recurrence of the problem is hardly seen.